I kicked off The Twenty-Something Series back in April 2017 with this post about how I'd worked in a job in finance after graduating that was really not for me, so I left. I spent nine months in that job. I didn't exactly hate the work, and I didn't mind the office, but there was a lot that got me down. 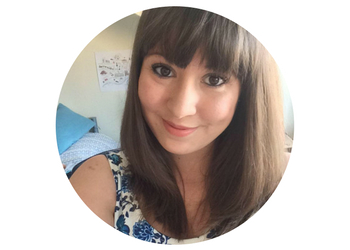 Commuting for about four hours a day for three weeks to a client a few cities over was horrific; the pressure of exams did wonders for my mental health as you can imagine, and the general culture was not something that suited me in the slightest. I worked there for three months before deciding I would leave. I secured a new job (where I work now!) and handed my notice in during the following months - and honestly, as soon as I knew I was leaving, I felt a lot better about getting up and going to work. 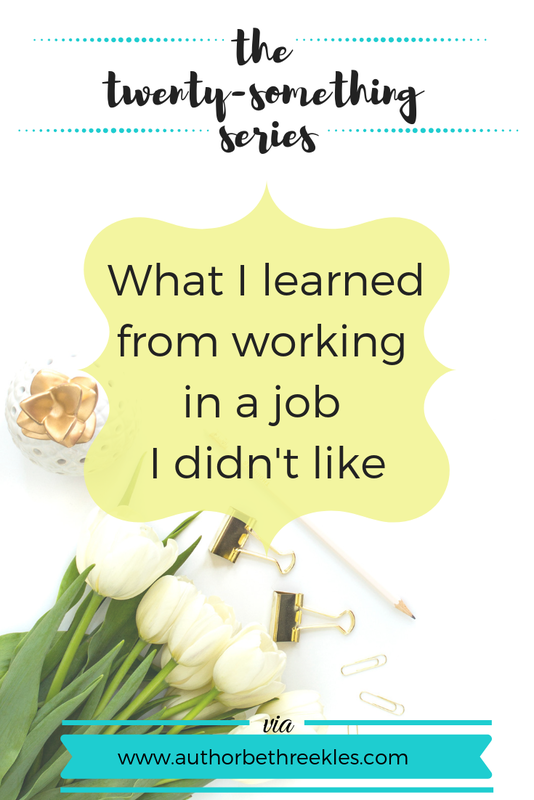 When I started the job I'm in now, the culture was so vastly different - and the work was so much more in line with what I wanted to be doing with my life - that it just made all the things I'd disliked in my old job seem so much clearer. But I learned so much from that job. Those nine months weren't wasted at all. In this post, I'm going to share the three biggest takeaways I had from working in a job I couldn't wait to leave. I had a vague idea of finance: I'd done my taxes for the first year I was an author (as I'm classed as self-employed) but it was complicated, so from then on I hired an accountant. I sort of knew businesses had their profit and loss statements, that 'capex' was a thing, but I didn't know much. Because of the type of role I was working in, I had to study and do exams to become a chartered accountant. The time I was there, I did five exams - including one on law. Honestly, I didn't think too much into it until I started my current job. When people would start talking about capex and opex (capital expenditure and operating expenditure - which I think of even now as like buying a car versus buying the petrol to run the car), or when they talk about something being accrued, I know what it means. My job now isn't really to do with finance - I work in IT, and wrote more about that last week in this post - but having a knowledge of these things, being aware of the impacts of costs and spending, is massively helpful. Far more so than I would have expected. I worked in an office when I was 16 for a few weeks, working in the Comms department for the company my dad works for. I was sort of aware, but that was on a temporary basis, and everyone knew it was very much 'work experience'. Going in on a graduate scheme felt a lot different. It's weird to come out of university, having lived the student life for three years, and suddenly be expected to act like a Full Adult, With Responsibilities And Experience, Who Knows What They're Doing. It's all well and good trying to act professional, but there's a lot to get used to. It felt a bit like being thrown in at the deep end and there's so much you don't even think about - like having to lock your computer when you leave your desk, what a 'clear desk' policy means, how casual 'casual Fridays' actually are. It was the same when I started at my current company - there were new nuances to learn, of course there were. But I'd spent nine months learning how to work in an office, picking up on the general conduct for that kind of environment, so I felt at ease much more quickly when I started my next job. This is definitely the biggest thing I took from working in a job I didn't like. I got to know what it was about the culture that I didn't enjoy, what parts of the work I felt were rewarding, how I worked best and what I felt I needed from a job to really thrive. For instance: I knew I didn't want something where I didn't feel like there was much variety in my job. I knew I wanted something that would push me and allow me to learn new skills. I had the luxury of being able to interview for new jobs and know what I was looking for from them, because I knew a lot more about what I didn't want. I'd been willing to spend three years working in my old job to qualify, but I'd never really wanted to pursue it as a career. I'd spent so much time sending out job applications, doing tests and interviews, I was relived to get a job offer - and I took it even knowing it might not be right for me. The next time round, I knew I wasn't just looking for a job, I was looking for a career, somewhere I could grow and seize opportunities - which, I feel, is exactly what I have now. I learnt a lot about myself in that first job that has proven so valuable now. For something I was keen to be rid of (and I definitely don't regret my decision to hand in my notice), it's surprising how much I gained from it and how much has stuck with me into this career path. Leaving that job was one of the best decisions I've ever made, but I don't look back on it and feel bitter about the months I wasted on it or the time I could have spent working in a job I preferred - because it's turned out it was far from wasted time. Have you ever spent time working in a job you didn't really like? What did you take away from it? I'd love to know so let me know in the comments!